Teeth in a day allows Dr. Killeen and the surgeon to provide you with fully functioning teeth in one procedure. The decayed and broken-down teeth are extracted, implants placed and your immediate or provisional denture/bridge is screwed in place to the implants. 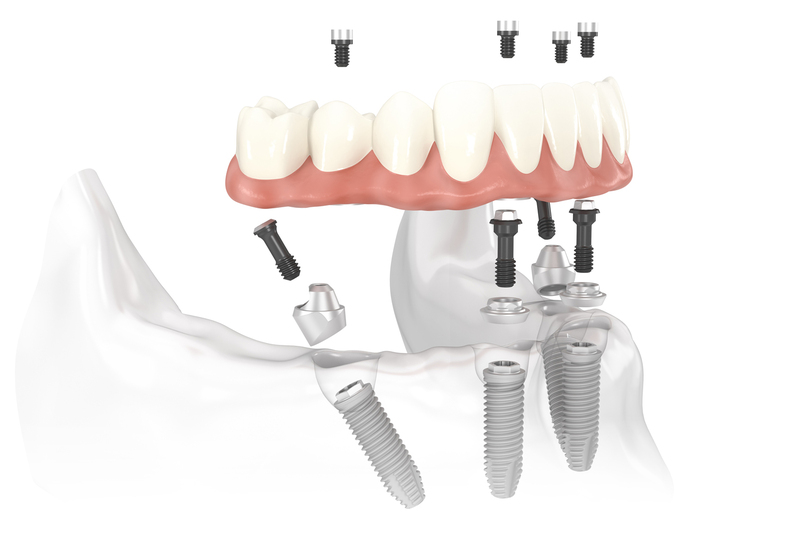 The All-on-4 treatment concept was developed to provide edentulous (lacking teeth)patients or patients who must have all of their teeth extracted with an efficient and effective restoration using only four implants to support an immediately loaded full-arch prosthesis. 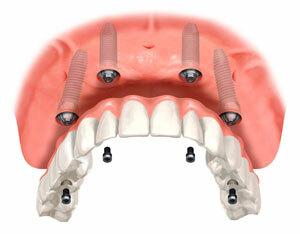 The denture/bridge is made in advance by Dr. Killeen with your input. Together you decide on shape, shade and size of teeth. It is forwarded to the oral surgeon for placement after the extractions. You can avoid having to remove your teeth daily. 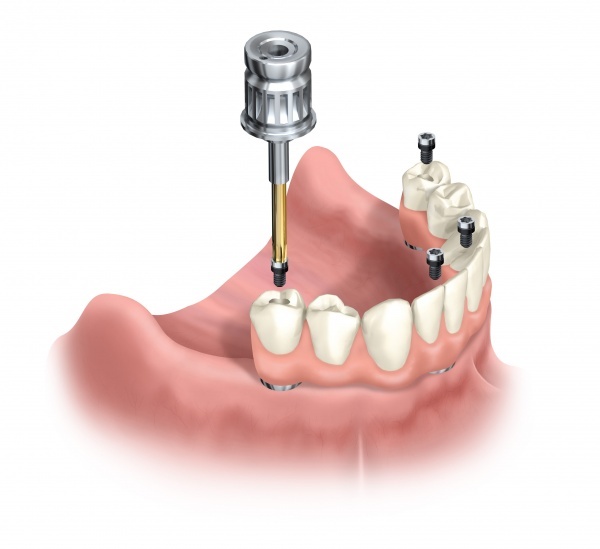 You will treat your new denture/bridge just like your regular teeth! Avoid being without teeth or having to suffer through the healing process with sore spots. You may have read about this new procedure or seen it featured in the health segments on news programs. Ask us how we can make you happy and confident with your new smile. Security makes all of the difference in your ability to feel comfortable.